Want to be sure of your target? Even in the dark? 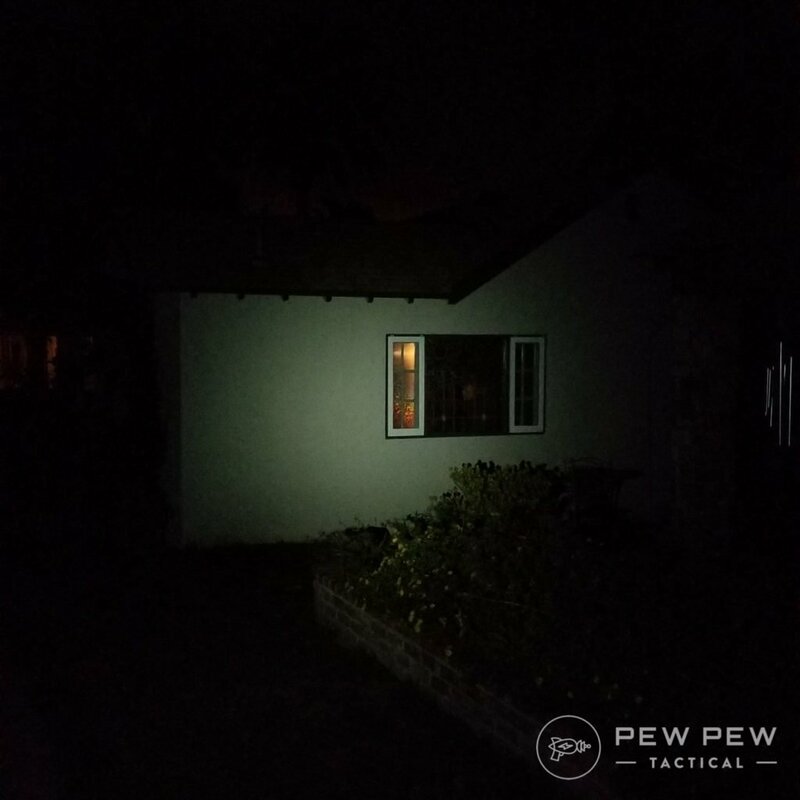 Yup…that’s probably why you’re looking for the best pistol/handgun light. Well…we’ve been shooting with a bunch of different lights for a really long time. The oldest one up there is 8 years old with 5k+ rounds through it. So we know what works from a reliability standpoint. Plus we’ll show the light patterns indoors and out. By the end you’ll know the perfect light for you for your budget. 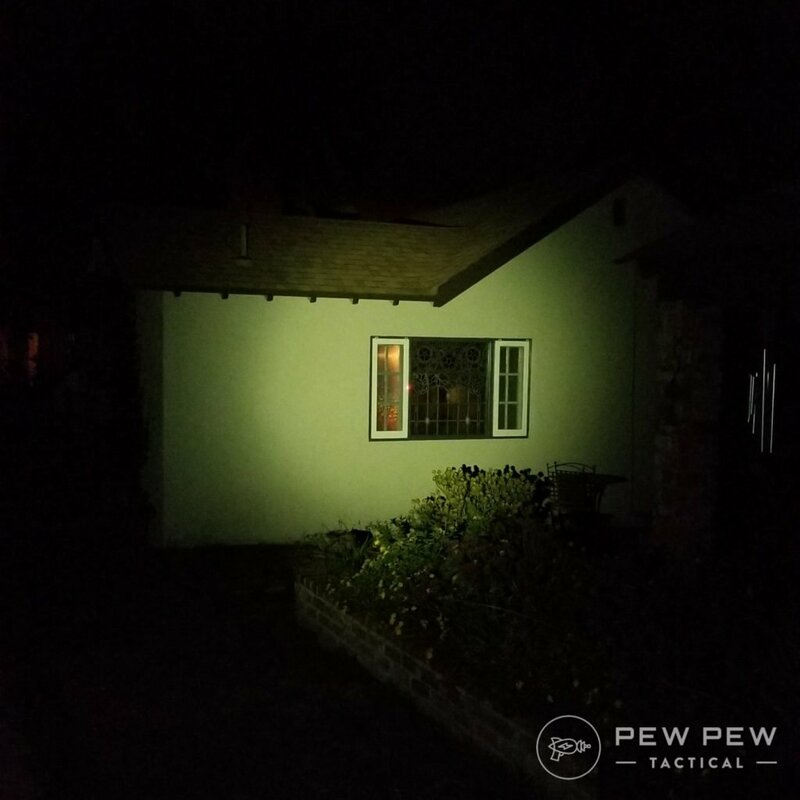 You always want to make sure of your target (remember the 4 Firearms Safety Rules) and unless you have some sweet night-vision goggles…you’re going to want a flashlight when it’s dark. 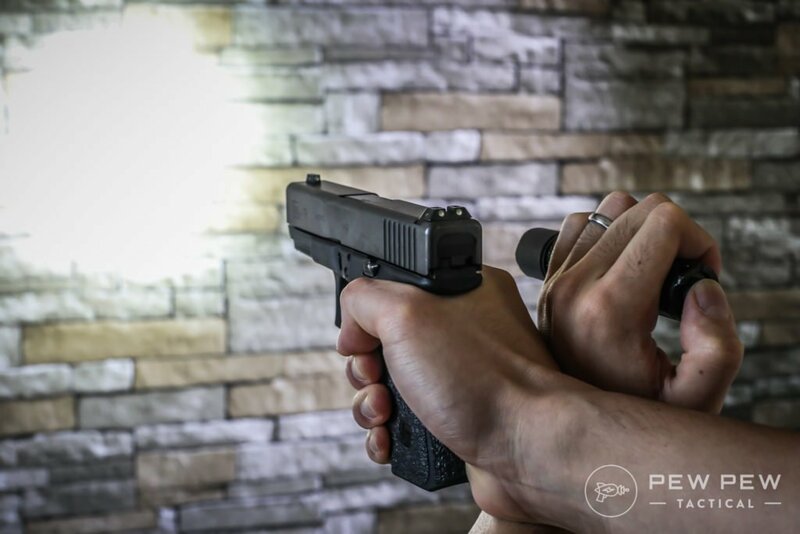 Sure you can go with a handheld light (check our Best Tactical Flashlights), but a mounted pistol light is already attached and gives you two hands free with a strong grip. Plus it gives the front of your handgun a little more heft which reduces muzzle flip. First off…is reliability. You really tend to get what you pay for in flashlights and you want something that has an impeccable reputation. Unfortunately that means you’re probably going to start from the $100 mark. Second is lumens. It’s a measure of how bright the light is and recently there’s been a push towards the maximum possible. 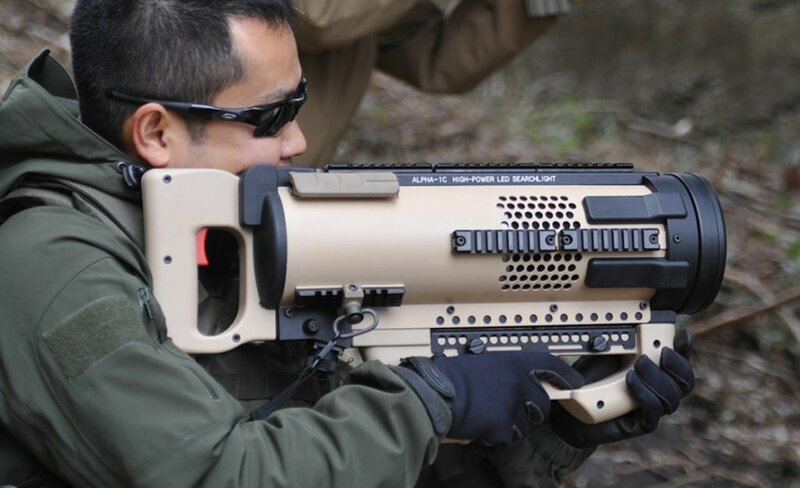 Sounds great…and lots of instructor say that a flashlight will incapacitate a bad guy or make them run away. Our take is that it might blind them momentarily…but a determined attacker will still be able to get you. Another thing about going too high on lumens. If it really blinds the attacker…chances are that it will blind you too. Especially if you’re mostly going to be indoors with light colored walls. That’s my personal use-case so I prefer 200-400 lumens. 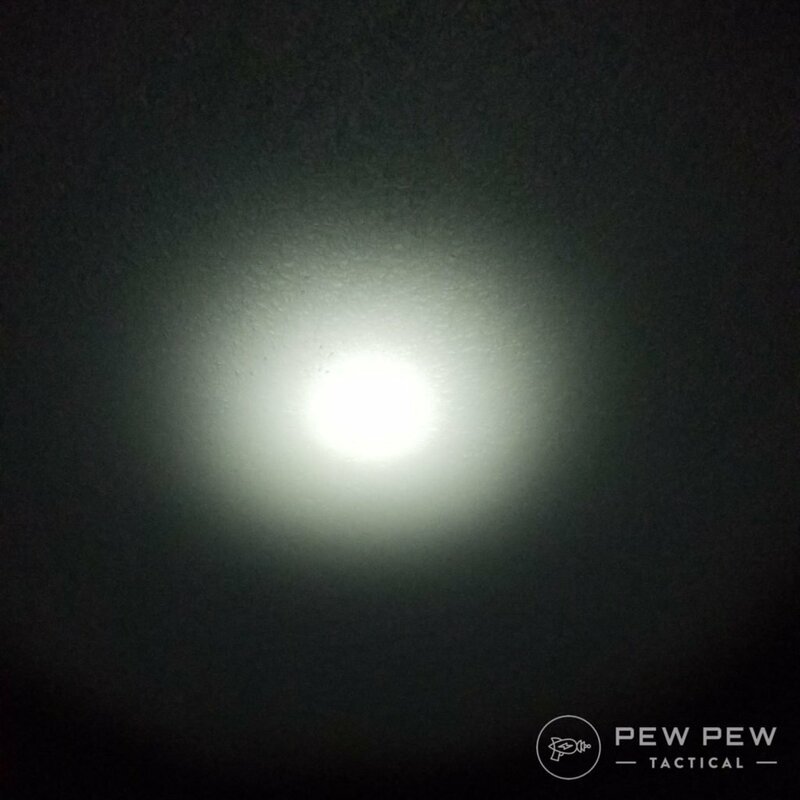 But I’ve had police instructors who advocate 800 lumens that are great for outdoor work. Lastly are spread pattern, size, and activation methods. I’ll cover these as we go over individual lights. The TLR-1 is my personal favorite and what I recommend to friends. And what sits on my home-defense Glock 17 full-size. 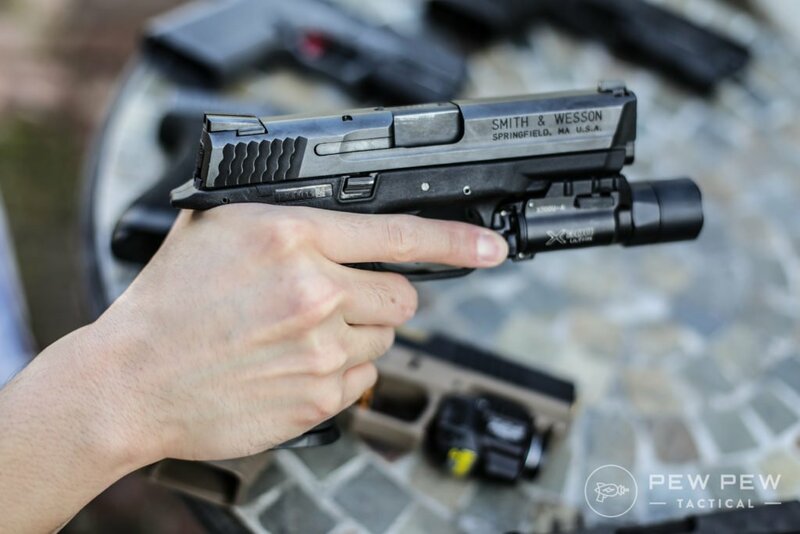 Good size for compact and full-sized handguns. Intuitive and ambidextrous toggle levers for both momentary on and stay-on. And outdoors…it has a good center focus with decent side lighting. Hasn’t failed in 2000 rounds and my other Streamlight TLR-2s (up next) has held up for 8+ years. I switched from the 2s to the 1 since I wanted something with a smaller profile. And I moved the 2s with the laser onto my night shoot rifle. 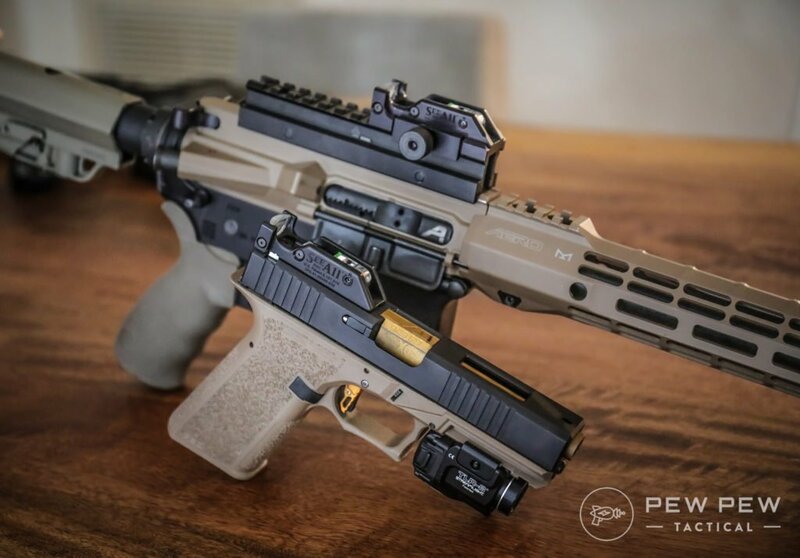 Install is very easy with some rail inserts for different handguns. And of course I won’t forget the high lumen folks. There’s the TLR-1 HL (actually more popular) that has a face-melting 800 lumens if that’s what you prefer. The kinda big bro to the Streamlight TLR-1…my TLR-2s has a laser and the “s” designates strobe function. Since I got it so long ago, the new naming convention takes away the “s” but still retains the function. 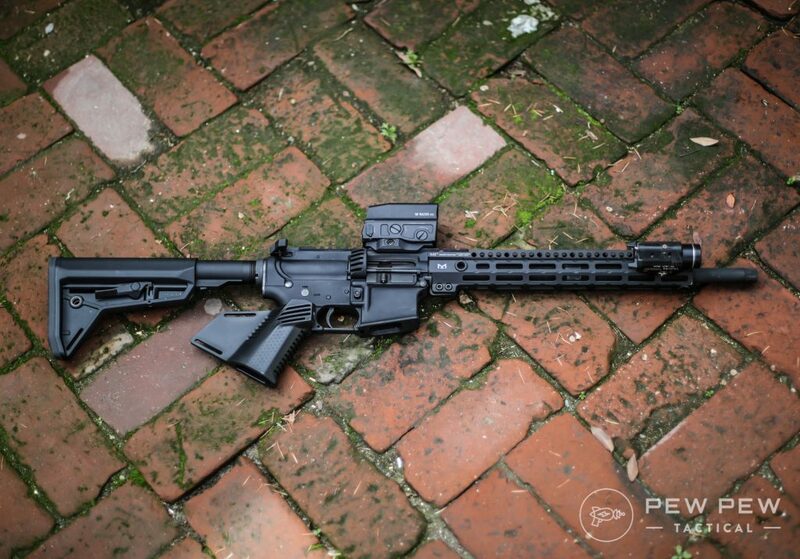 Like the TLR-1…good length for compact and full-sized guns. A little taller because of the laser. Same intuitive toggle system. After 7 years of faithful service on my Glock 17…it now lives on my Stag Arms 9mm AR-15 (review) specifically for night matches. Beam spread should be close to the TLR-1 for new versions. My old one has a pretty dirty lens. And outside you can see the laser which is pretty visible even on glass. I found the laser to stay within 2 MOA of where you zeroed it. Perfect for self-defense against man-sized targets but if you’re shooting clays for competition at 50 yards I would count on regular sights (Best AR-15 Optics & Scopes). Want a higher lumen version? They’ve got the TLR-2 HL. And also a “G” model for a green laser. More visible but you’ll have to shell out a little more. I really like my Streamlights. The two I use all the time (also have a high-powered one for rifles) have never failed. 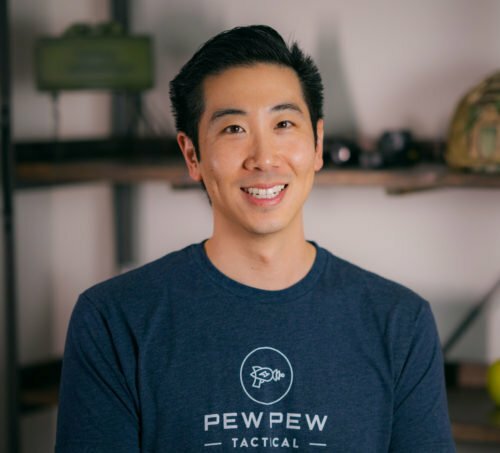 Streamlight sent me their two newest offerings new for 2018 and catered towards compact handguns. 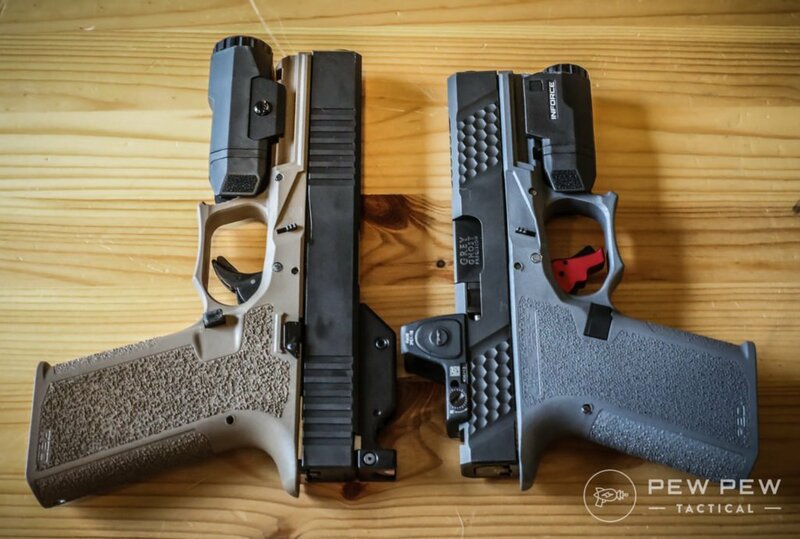 The TLR-7 (regular) and TLR-8 (laser) are the two shortest ones above which make them a perfect fit on compact guns like the Glock 19. They took out the toggle system and replaced it with a button (my finger is pressing down on it). A push and hold activates the light and deactivates it when you let go. While pressing it once with purpose activates stay-on. It’s a little harder to do momentary on since the button is quite small…so you’re likely only going to be using it for stay-on light mode. 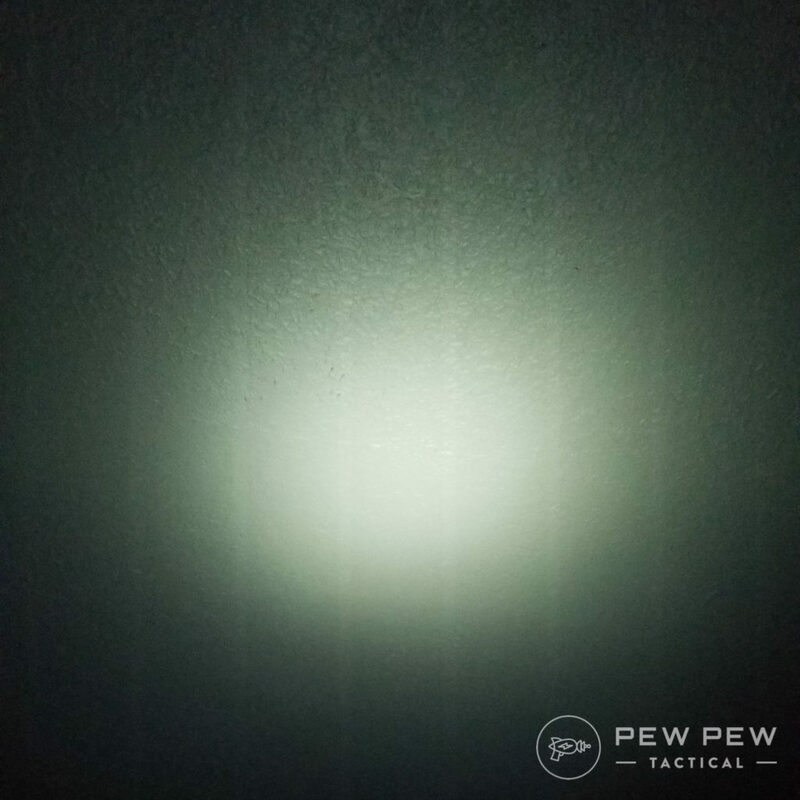 Light is 500 lumens with a little yellow-tinged (think regular incandescent light) compared to cool LED. While outdoors its a much more spread out pattern that’s good for searching but still enough in the middle for target acquisition. Laser is also very visible. I’ve only taken it out to the range twice but so far it’s held up to everything I’ve thrown at it. And the laser is staying on target. Install is also very easy with a rail clamp system. And you can lockout the light from turning on by rotating the front bezel. Perfect for something from a reputable company that is light, compact, and has a wide spread. And if you’re looking for the laser, there’s the TLR-8 in the same package. 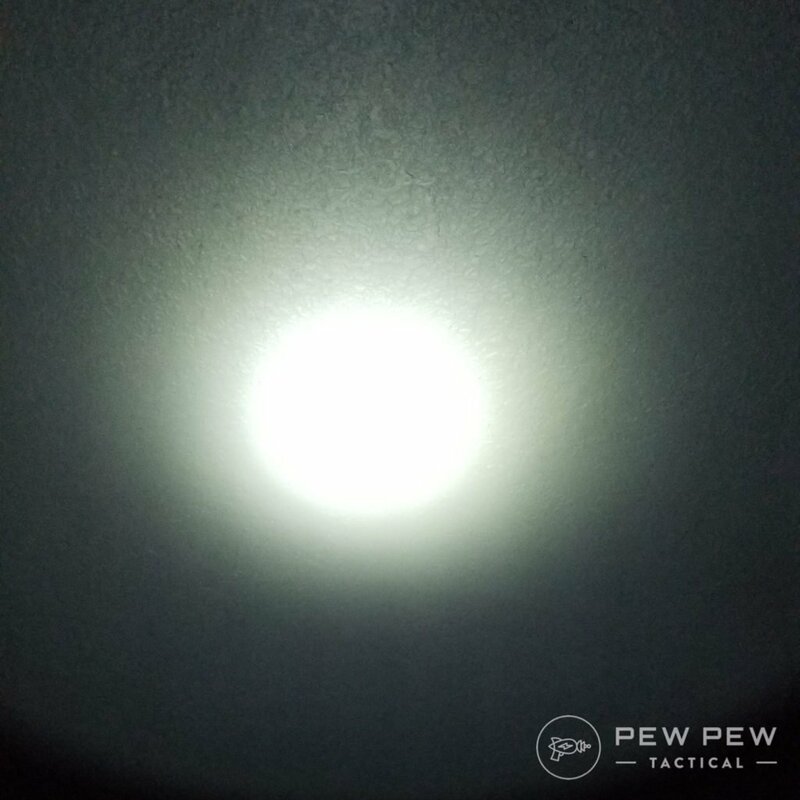 Here I am running it in a low-light competition with the above tritium SeeAll sight. There’s certainly the advantage of having a laser especially for close up shots. No need to look through your optics. 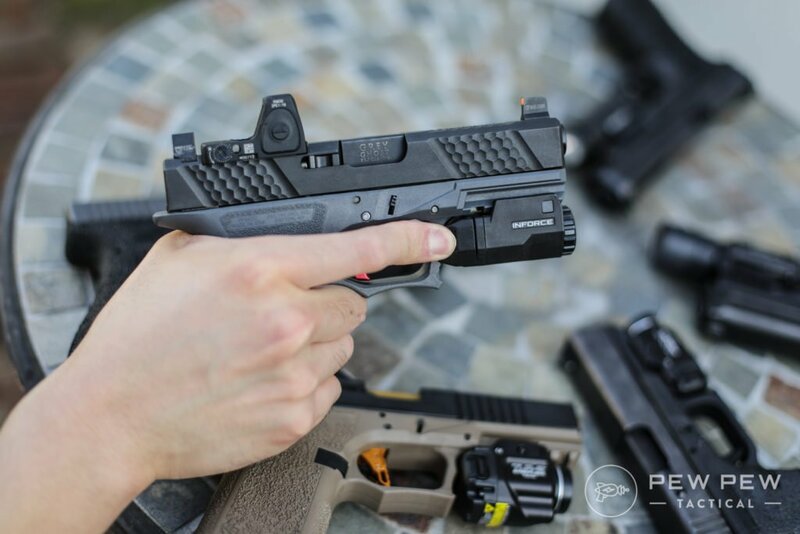 While we’re talking about compact lights, I really like the Inforce APLc. 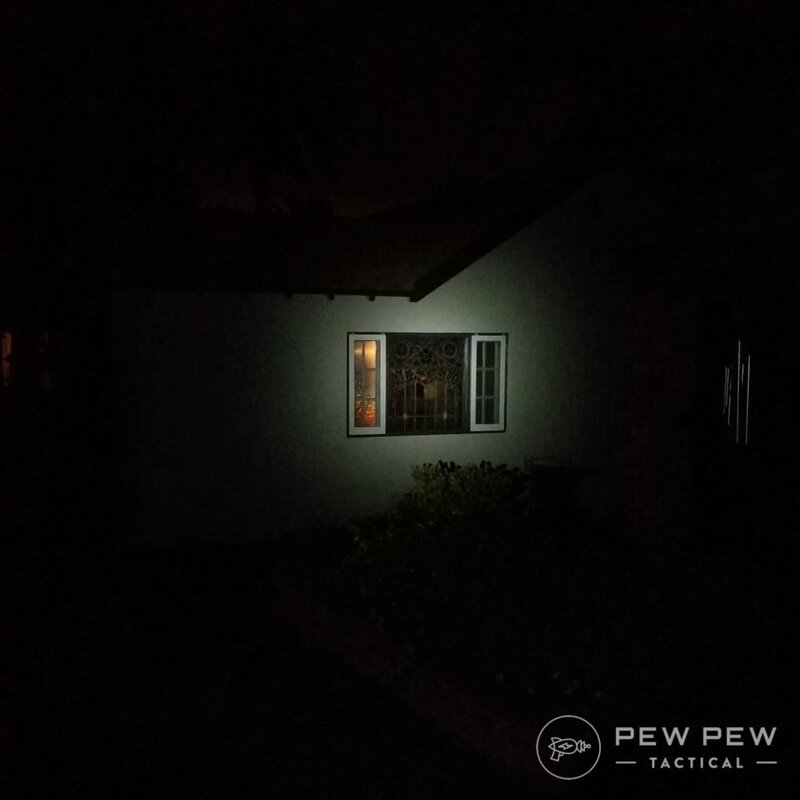 I run the Inforce WML on a couple rifles so I expected a lot from their pistol lights. Inforce was kind to send me the APLc for testing. It looks much more futuristic in my opinion and is polymer. It lines up perfectly with the Glock 19 (there’s actually two models of the APLc…one for the Glock and one for other compacts). 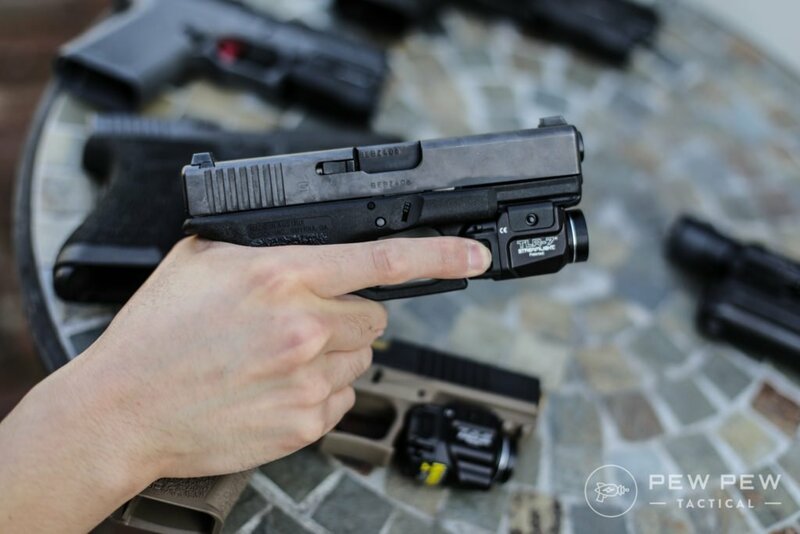 The paddle activation system is also my favorite out of all the pistol lights. Easy to reach for both hands and perfectly textured. Press and hold for momentary on and press for it to stay-on. The light pattern was the “coolest” color and with decent spread for 200 lumens. And somehow made lines in my final photo. For outside you can see the even spread but also see the difference in less lumens. The hardest to install (but not by much) since you need to fully remove the screw before sliding it off the rail. If you’re looking for a slick looking light that weighs less than 2 oz, has a great activation system, and geared for indoor work…the APLc is perfect. 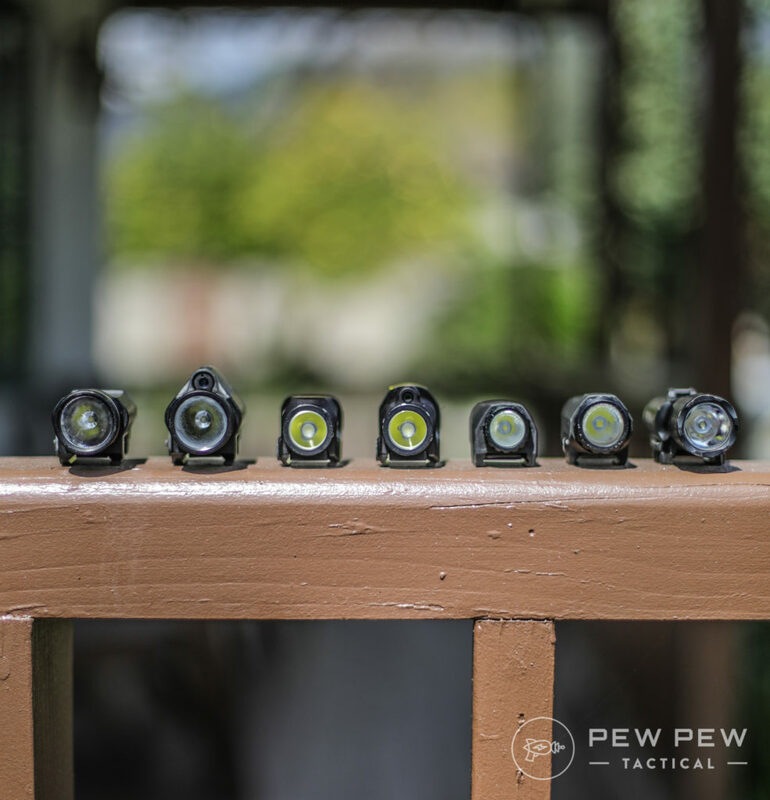 The APL is the big bro of the APLc…this light is suited for full-sized pistols. Inforce also sent me this one for testing. Unfortunately…I had a bad experience with this Gen 3 one…and apparently so did a lot of other people judging from reviews. I have a Gen 2 which worked perfectly but the newest Gen 3 quit working reliably after 3 months of normal range time. Now it flickers when I turn it on and won’t stay on unless I hit it on a hard surface. I cannot recommend this model but so far the APLc has been working great. *Update March 26, 2018*: Inforce got back to me and said that the problem has been fixed and that current units no longer have the flickering problem. They are replacing mine and I will report back with the new results soon. 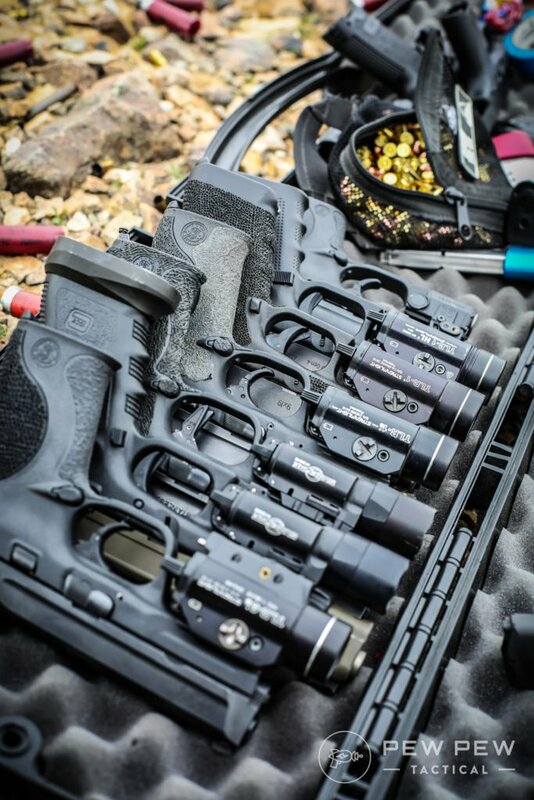 The gold standard of pistol lights…if you’re looking for the BEST you get the SureFire X300. 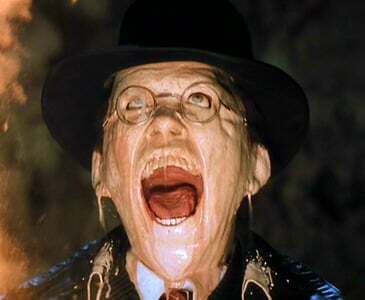 My friends who have to depend daily on a handgun and light all swear by them. 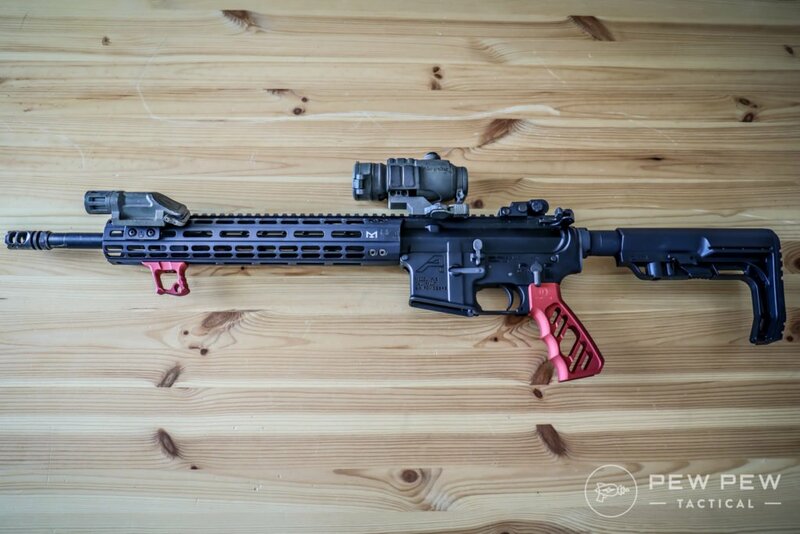 It’s much longer than the others but that puts it out of the muzzle blast even on a full-size that can really dirty up your lens even after one range trip. Plus since it’s so popular you won’t have trouble finding a holster. 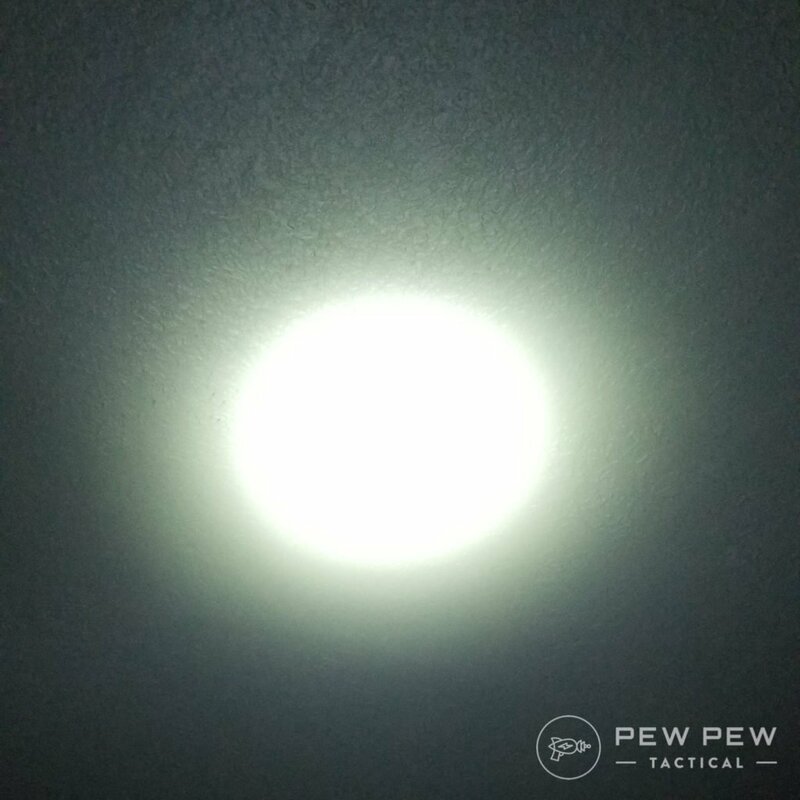 It’s been proven the world over and uses the same toggle system as the regular sized Streamlights. The light is super bright and very focused. 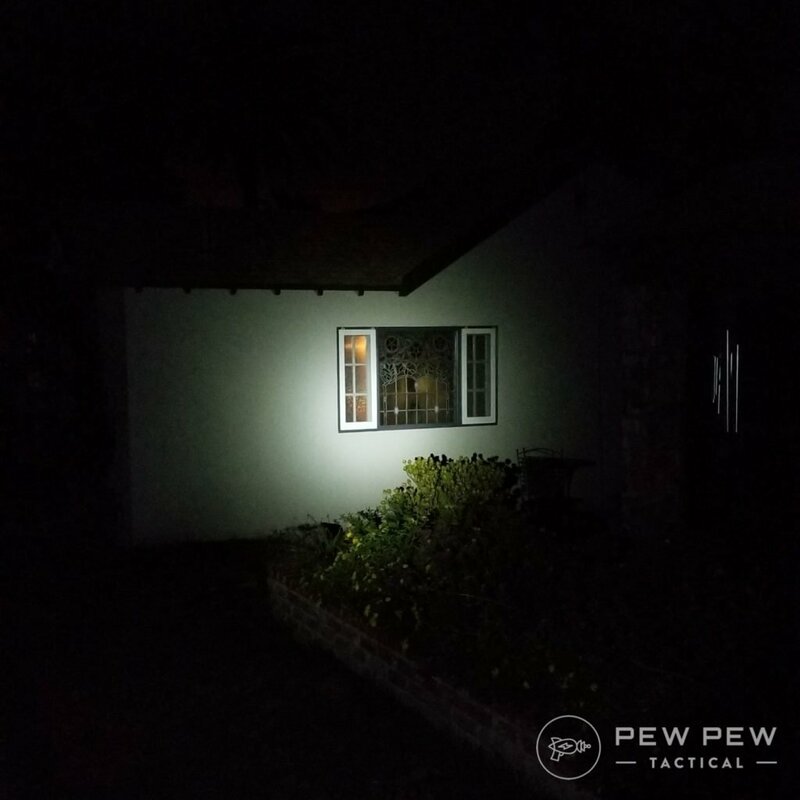 And outside you can see the power of it’s focused 600 lumens. I also really like the model with a Rail-Lock Mount that makes it super easy to take on and off your handgun. One of my instructors would keep the light unmounted in his pocket to act as a flashlight. Then when needed, quickly reattach it to his CCW if needed. 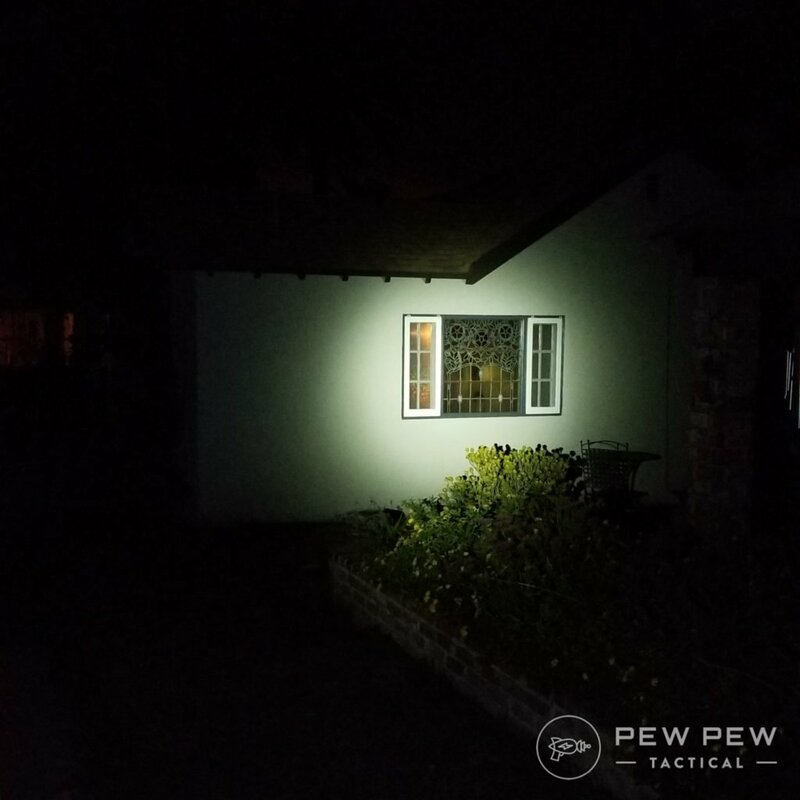 If you’re looking for a bombproof, bright, focused light…almost everyone will tell you to get the X300 if you have the dough since it runs about double the Streamlights. What’s your take on the SureFire? 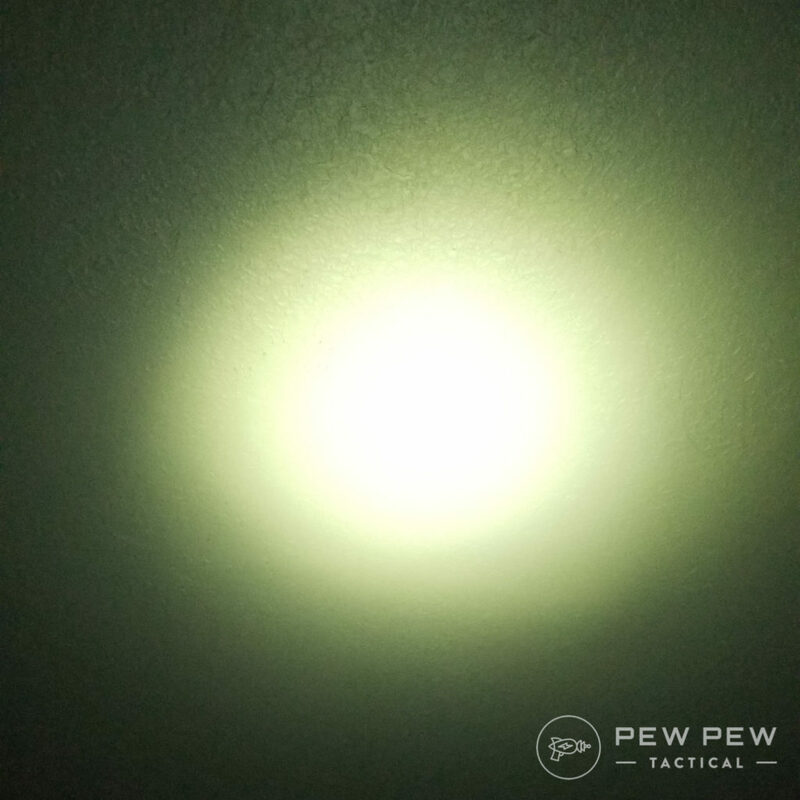 When you train with your pistol light (and you should), I recommend to tape it off with masking/painter’s tape. That way you keep the muzzle blast and resulting carbon dust from dirtying up your lens and reducing brightness). And when you do shoot at night or using the light, be sure to also clean your lenses. The middle and right lights above are going to require some TLC. The secret? Use a pencil eraser. And I alluded to holsters. 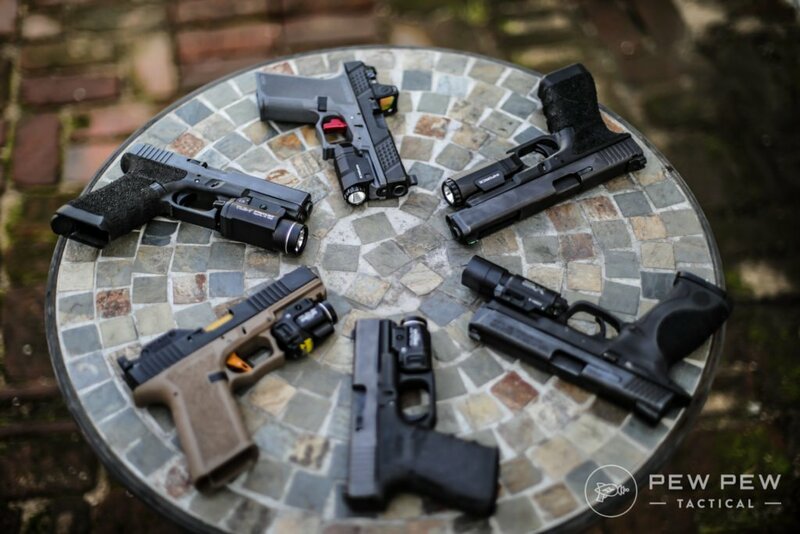 These are all pretty popular lights so most holster manufacturers will have OWB (outside the waistband) options to cater to your pistol and light combo. 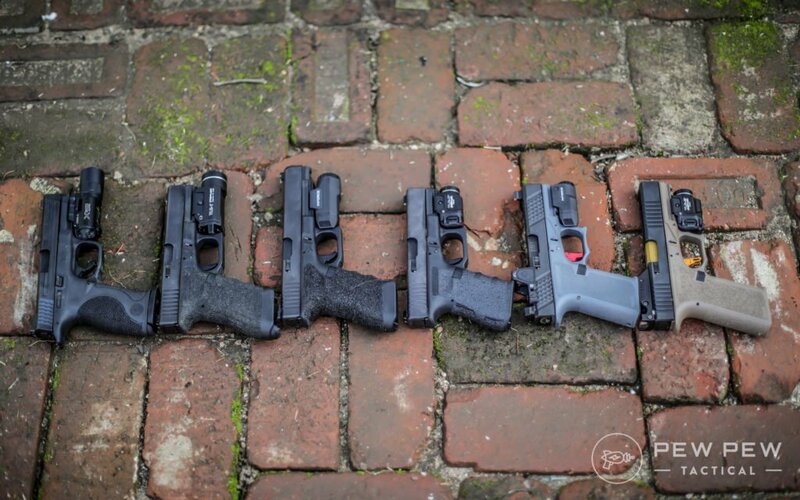 You can check out our favorites in Best Holsters Guide. Almost all these take CR123 batteries, so make sure you get the good stuff. I’ve always had good results from Streamlight ones. For CR2 batteries (such as for the APLc), check out the choices here. 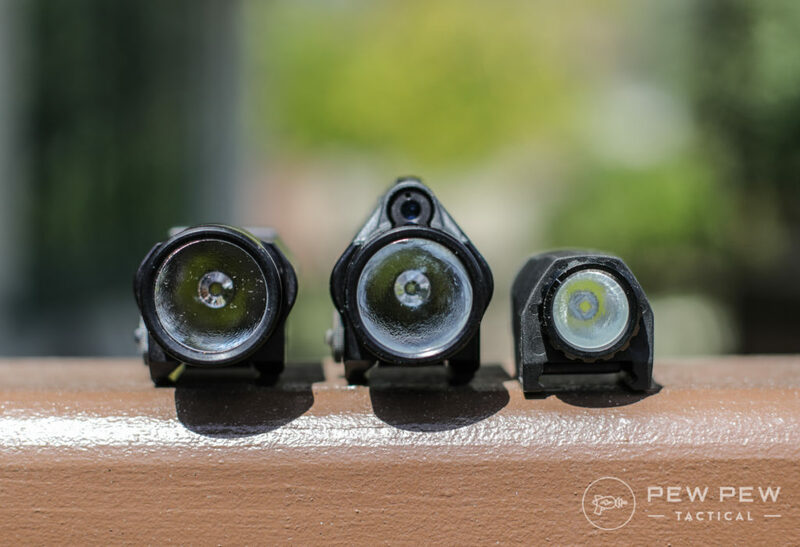 So that’s it…our complete writeup on pistol lights. Or its 800 lumen big brother. The gold standard and if you have the cash is SureFire. Inforce looks cool but is hit or miss regarding models (get the APLc but not the regular APL). How’d I do…any that I missed that I should check out for next time? 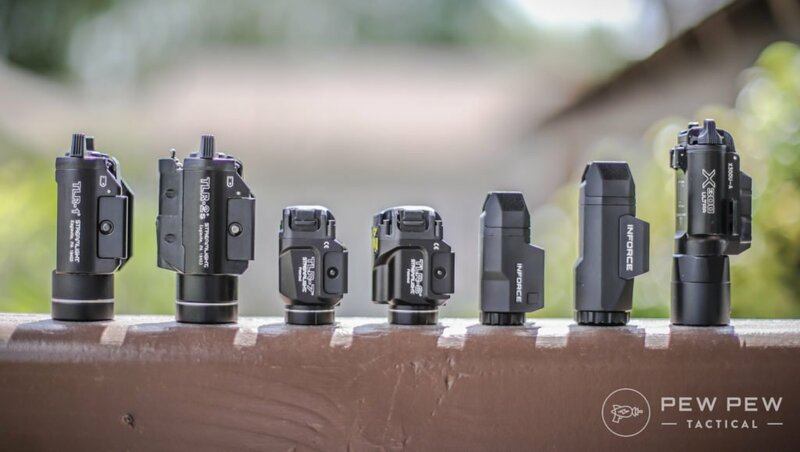 How about lights for your long gun…with Best AR-15 Flashlights. Here one more thumbs up for the O-light Mini. It mostly lives on my Glock 30S but occasionally visits my 19. Easy on, easy off, very light, long battery life, easy magnetic recharge, which I had reservations about, but has worked really well. On top of that, it’s inexpensive. 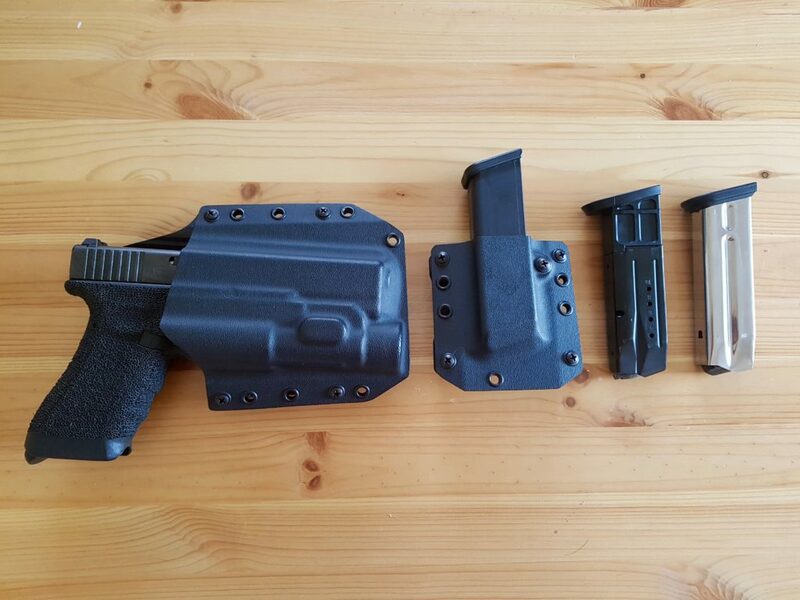 Now if I could just get my holster company to make their “LightTuck” holster in Glock 30S with O-Light mini, I’d be in ‘hog heaven”. you ever test out the inforce in the update? Guys I think you may have missed a great option. 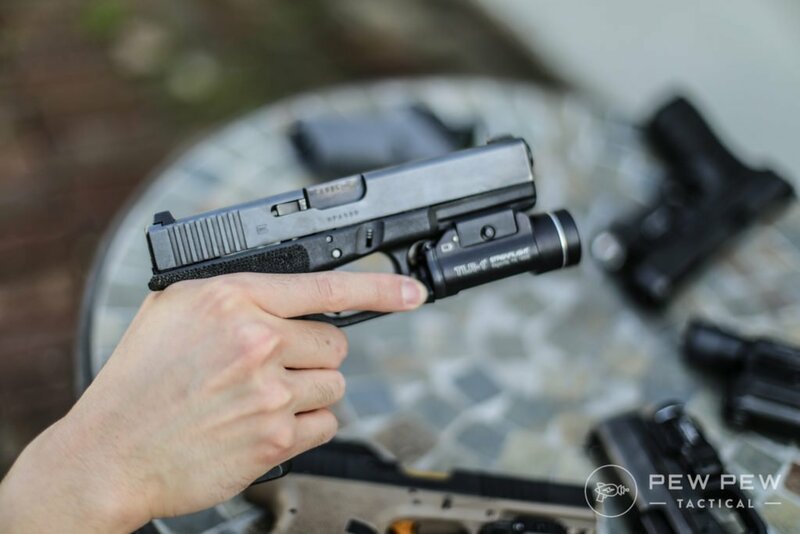 O-Light Valkyrie Lite is a super little light that’s no-tool-required attached and detached from any Glock or Picatinny rail. Recharge by USB = no batteries! I have it on my Sig P320 and my wife has it on her Glock 19. Great add on for home defense. 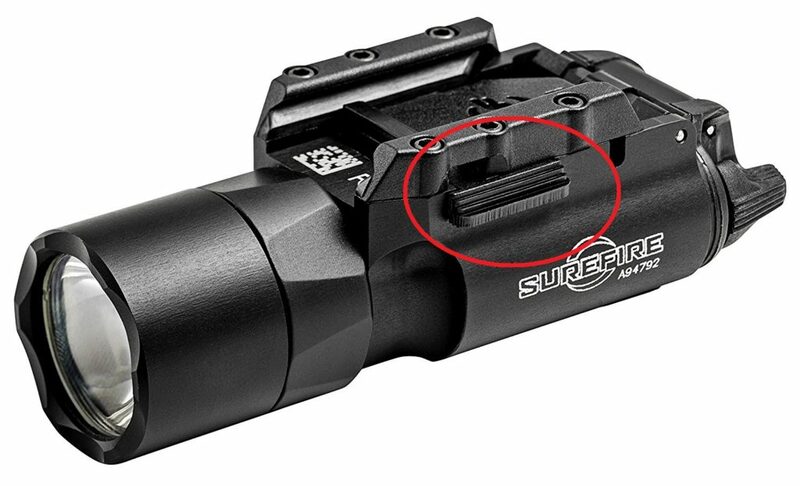 The link for the SureFire X300 Ultra takes you to what appears to be a “knock off” or replica light based on the reviews. 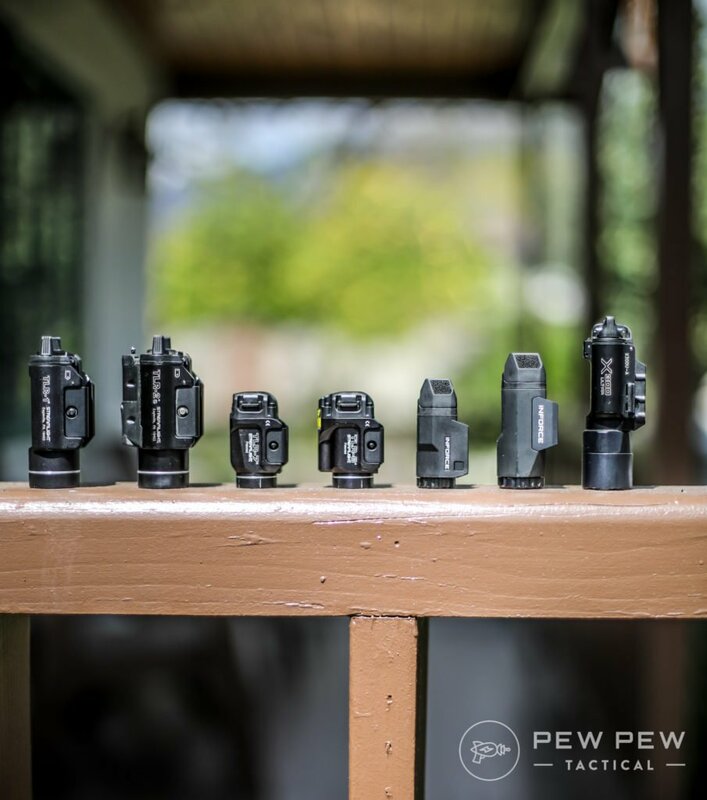 What are the activation/toggle differences between Surefire and Streamlight?